Women Who Money wants to help women (and men) at all levels take control of their finances! Our goal is to empower you with the knowledge, skills, and tools necessary to improve your financial health. 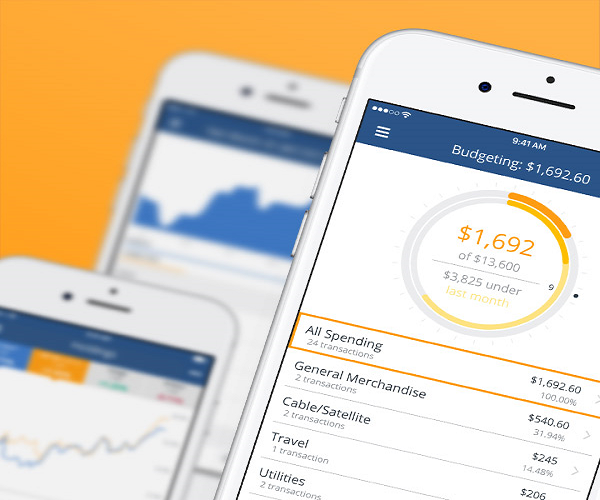 And Personal Capital is high on our list of must-have tools for managing your finances. This Personal Capital review was completed by Amy, one of the co-founders of Women Who Money. She’s been actively using the free financial tools at Personal Capital since 2014 to aid her in managing her money and planning for a secure retirement. 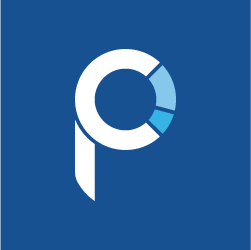 Personal Capital is an online financial company headquartered in California. 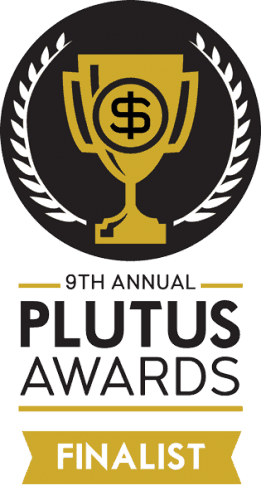 They offer a suite of free financial software tools providing you quick visibility and insight into all of your linked financial accounts; accessible on your desktop, laptop or mobile device with a secure login. Personal Capital also provides a team of financial advisors to help you grow and manage your personal wealth if desired. Note: Security is a high priority for Personal Capital. They’ve partnered with industry leaders to keep your credentials safe. Multiple layers of security – strong encryption, strict access controls, robust authentication, etc. – are used to keep all your private information, accounts, and money protected. Additionally, money cannot be moved in, out, or between any accounts, you’ve linked to Personal Capital. Not by you, Personal Capital, or anyone else. 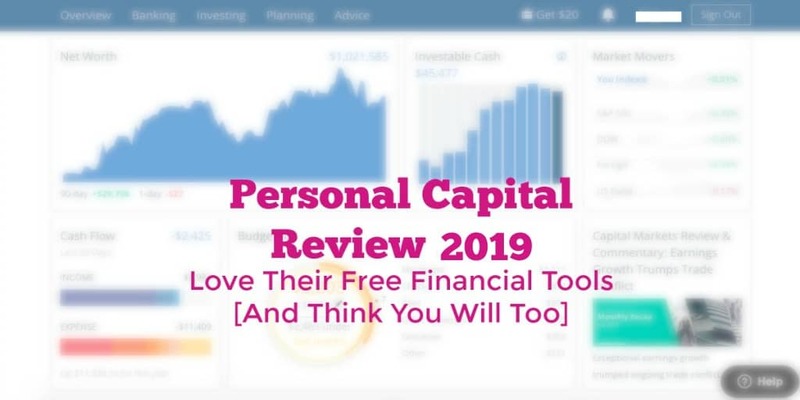 What are Personal Capital’s Free Financial Tools? Personal Capital provides a Financial Dashboard which pulls the information from all your linked financial accounts into one convenient place for you to view, track and plan for the optimization of your wealth. The Net Worth Calculator provides a complete view of your net worth any time, anywhere, on any of your devices. Link all your bank, investment, retirement accounts, and other assets along with all your credit card accounts, mortgages, loans and additional liabilities for easy tracking. Speaking of investments, with the Investment Checkup tool you can see how yours are performing. You’ll also see how they may do better. Your current portfolio allocation can be compared to an ideal target allocation designed to minimize risk and optimize returns. Suggestions are presented if it’s deemed you’re taking on too much risk (or too little) in your investments so you can look to achieve similar levels of performance with an adjusted level of risk. With the Fee Analyzer, you can quickly evaluate your holdings and determine how expense ratios and hidden fees may be impacting your mutual fund, investing and retirement accounts. Since these fees can add up over time, they may dramatically reduce your life savings. The Retirement Planner – ” the most sophisticated, realistic retirement planning calculator available today” – allows you to see precisely where you are today in terms of achieving your retirement goals for tomorrow. After inputting some basic information such as your current age and anticipated retirement age, as well as your spouses if applicable, the tool can help you assess your retirement readiness using the financial information from your linked accounts. It also allows you to see how large future expenses – children, housing, college, weddings, etc. – could impact your retirement saving plan. On the flip side, it also allows you to see how additional sources of income – rental income, pensions, inheritances, etc. – may affect your retirement. 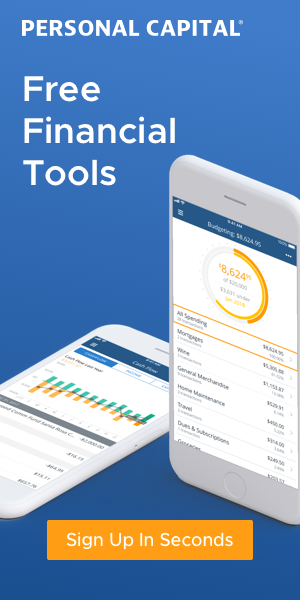 Finally, the tool uses “robust modeling tools and Monte Carlo analysis of your actual spending and savings habits” to provide you with the monthly spending you can likely afford in retirement. Why I Think Personal Capital Rocks! As mentioned above, I’ve been using Personal Capital’s free financial tools since 2014. At the time I was a Mint.com user but began using them both because Mint lacked investment tracking at the time and I wanted to try PC out before jumping ship on Mint. Within six months I chose Personal Capital over Mint and have never looked back. But you may wish to use both. I use PC a few times per week. I love being able to log in to just one place and view all my accounts – checking on transactions to ensure they are legitimate, keeping an eye on cash flow and a handle on credit card balances, so there are no surprises. PC also comes in handy to verify receipt of income in our accounts. And to ensure proper crediting of monthly bill payments on credit cards and mortgages. Monthly, I use Personal Capital to evaluate and record our net worth. And to do a quick overview of our investment accounts. A few times each year, I look a little deeper into our investments using the Investment Checkup tool. All done in minutes. While I don’t use the budgeting tool religiously, I do use it to evaluate our spending and ensure nothing is out of line. With their mobile app PC is available on your mobile device making it even easier to monitor all your accounts. It’s so easy for me to open the app on my phone, securely log in, and check how the stock market is performing or see if the renter’s paid the rent. 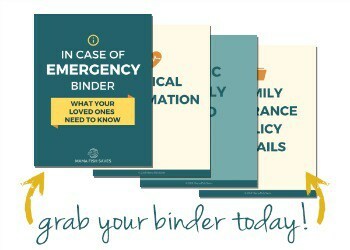 With the information readily available at my fingertips, it’s also easy to discuss financial transactions with my husband and plan for our savings goals. When I first began using PC, the Fee Analyzer Tool helped me evaluate our retirement and investment accounts for fees. Using the tool, I discovered funds within our 401k plans costing us a great deal. After researching other investment options and making some changes we now have our 401k plan annual fees under .10%, the benchmark is .50%. Personal Capital’s Retirement Planner tool provides me with a good sanity check on our plans for the future. With the ability to forecast different scenarios I can see how the choices we make now or in the next ten years will affect us later in life. While there are many other retirement calculators out there – and I do recommend you try more than one – PC’s tool provides useful information in an easy to view format. Occasionally there are connection issues with your financial institutions. But these have become less and less frequent and are resolved pretty quickly. Most but not quite all banks, credit unions, mortgage companies, etc. sync with Personal Capital but this is easily gotten around by adding the account manually. For example, the mortgage on our rental property does not sync. So I simply adjust the mortgage balance monthly to keep an accurate picture of our net worth. Personal Capital’s financial tools are free to use. To make money they charge for wealth management services. As a user of the free tools, you may be contacted by PC offering a free consultation with a financial advisor. Some complain of this annoyance. Personally, I’ve just politely declined the consultation. PC provides wonderful financial tools I think anyone can benefit from, and they’re free! I’ve been a fan of Personal Capital’s financial tools from the start and don’t see that changing. While there have been a few minor issues in the past, there are no significant negatives in my book. In fact, they keep uping their game. Try Personal Capital today and let us know what you think!